Sunny days and balmy nights are finally here in New England, and its time to get outside and make the most of them. 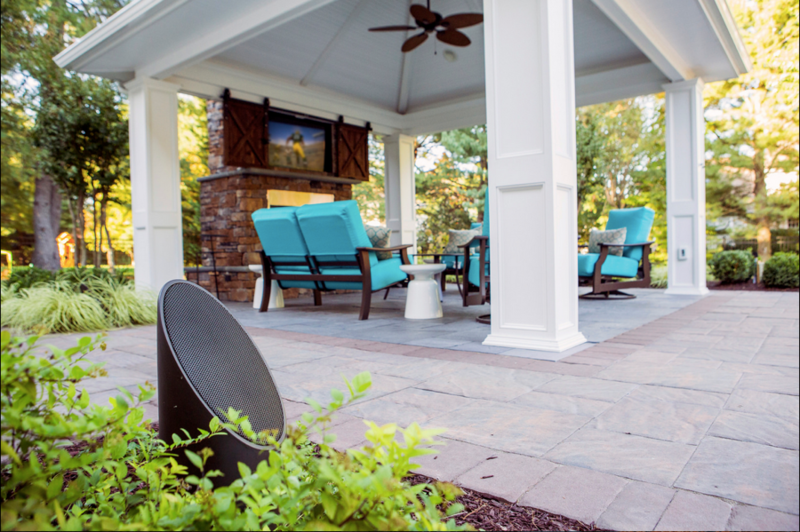 Whether you’re hosting pool parties, backyard cookouts, or evenings by the fire pit, complete your open-air space with the finest in outdoor audio, vision, and lighting products from Audio Art. Dave at Audio Art knows that the elements—like rain, snow, heat, cold, and corrosion—can pose obstacles to installing outdoor sound and lighting systems. That’s why he uses products by Coastal Source. Coastal Source has solved these issues with a patented cabling system that eliminates the wire/nut connection and instead uses a sealed, silicone ring connection that is far less likely to malfunction or require maintenance. Speakers by Coastal Source use proven JL marine-grade amps in various power configurations that can be direct buried out of sight. These speakers work with streaming systems like Sonos, Airplay, and Bluetooth—all that’s needed is a strong outdoor Wi-Fi connection. Their bi-amplified speakers provide exceptional bass along with incredible detailed midrange that competes with indoor sound system quality, immersing the listener in the music. Customers can choose speaker styles like Rocks, Bullets, and Bollard. All of these speakers can be configured with direct burial sub-woofers. They also have a version that incorporates lighting and the Bullet speaker in one enclosure, which makes for a simpler wiring system. For the ultimate in high-end sound, Dave recommends the full-range Bollard speakers. Bollard has a line of amazing outdoor speakers that has consistently turned heads in the industry. Dave knows that one of the biggest problems with listening to music outdoors is a fear of disturbing the neighbors. With fuller-range speakers and more of them, you don’t have to turn the music up as loud to get the same sound experience. In this case, more speakers mean a better listening experience. Adding video outside has also come a long way. Flat panels of all sizes and even projection systems for the ultimate backyard drive-in experience provide another level of enjoyment for the whole family. These panels can be left out year-round and come in two levels of brightness. One for shaded viewing and another for direct sunlight. Projectors for evening viewing need to be set up and taken in unless weatherproof provisions are used. Its very easy and allows for huge screen viewing. Add surround sound and you have a truly amazing drive-in in your backyard for watching movies, TV shows, and sporting events. 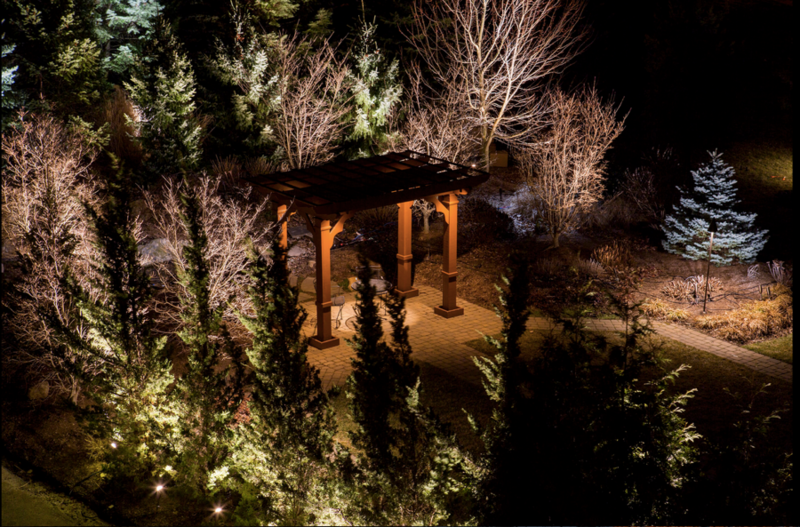 Outdoor lighting adds yet another level of beauty and drama to the landscape. Properly positioned lights of various wattage, angle, and color temperature can create night scenes that sooth and relax the viewer. Pair the lighting with an outdoor audio system, and your space will be elevated to another level entirely. Coastal Source light fixtures are designed with flexibility and customization in mind. By simply changing the wattage, color temp, or lens of your outdoor lighting, the system can be tweaked to draw attention to your finest plantings, hardscape or buildings. Coastal Source offers up-lights, walkway lights, deck lights, down-lights, stair risers, post-lights, tiki torches, a wide variety of accent lights, and dock cap lights. Nearly all fixtures have an input and output which allows for easy expansion if needed. Various mount options allow for plant growth, so your light fixtures don’t get hidden by overgrown plants. The dynamics of the changing seasons provides an ever-changing pallet of light. As the foliage drops, the light will penetrate higher in the tree branches. Color temperature will exaggerate the snow cover. It’s an ever-changing canvas. Come by Audio Art and discover several audio systems on display. They also have portable light and sound systems that can be set up onsite to evaluate.